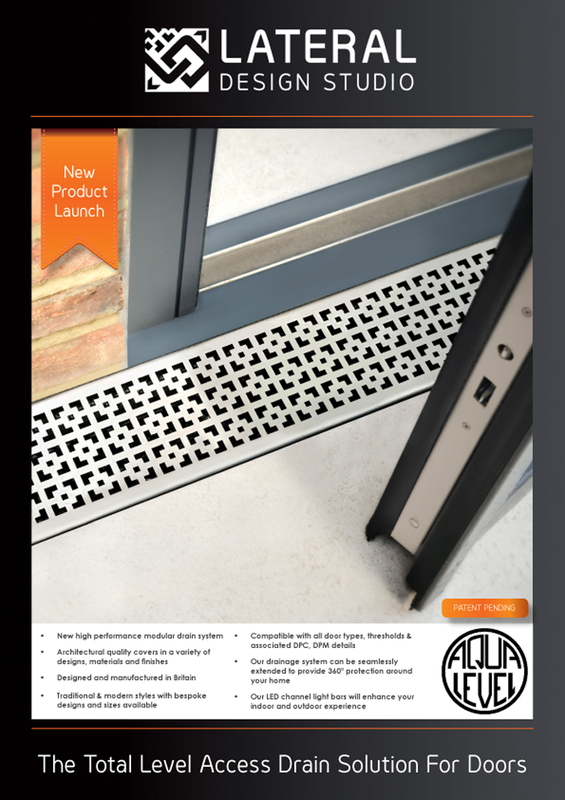 Our Aquaduct brand creates unique and beautifully designed covers and components, using the latest cutting edge technology. Our attention to detail allows you to harmoniously fuse together separate components within your home, from shower drain covers to extractor fans and floor registers, using a uniform design or finish. Lateral Design Studio is a family run company with 30 years experience in the construction industry. We take our inspiration from the Victorian era where design was equally as important as function. We use only the best materials and work with quality assured British manufacturers whenever possible. In addition we can also offer designed sink strainers, shower bases, shower screens and pop up wastes to name but a few. 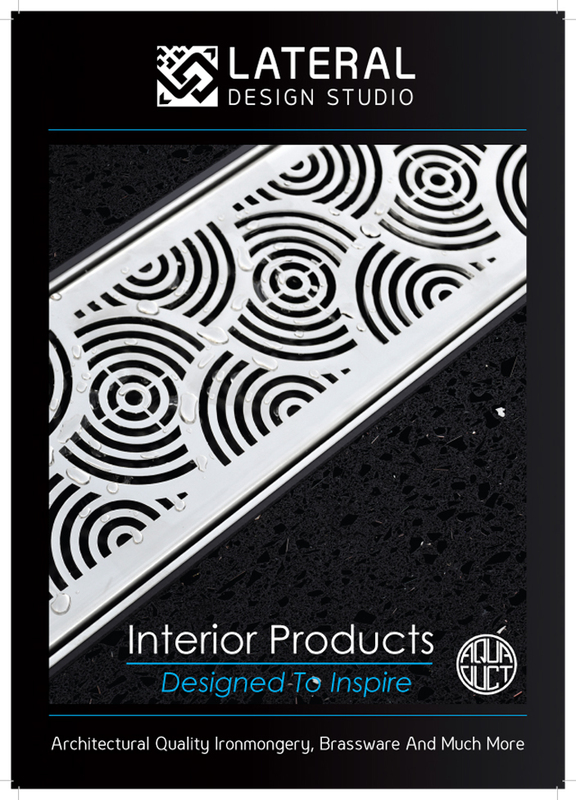 These products are being specified for residential, commercial, leisure and spa facilities across the U.K. and beyond. As well as offering a wide range of set designs, our in-house team can tweak with an existing pattern or logo, or commission a completely new one for you, producing them in a choice of quality materials and beautiful finishes. We can provide everything from straightforward product sales through to a full design and supply service. 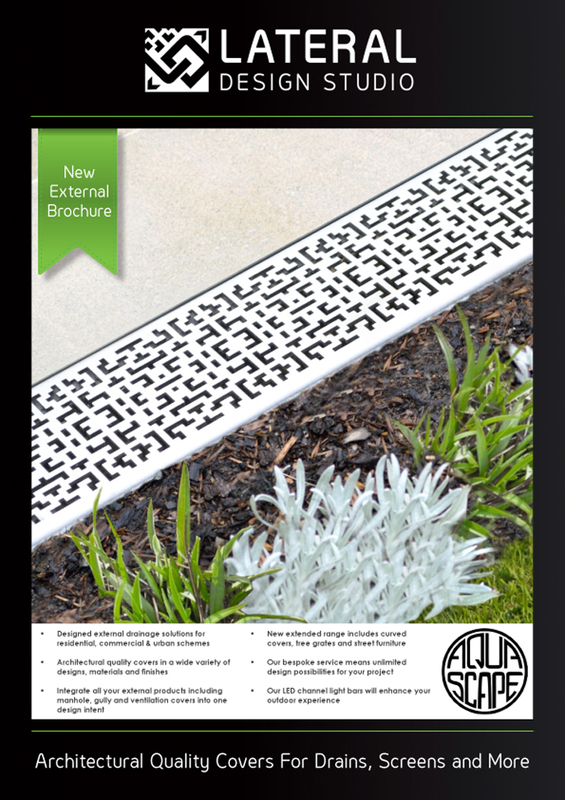 We offer all associated products including drainage gullies and a range of accessories to enable you to complete your project using just one supplier. I agree to let Lateral Design Studio contact me from time to time in regards to the Aquaduct Brochure brochure and related products.